I don't have much details of this wedding yet but one look at what the groom wore and you know it's not your run-of-mill type of wedding. Much thanks to event stylist Gideon Hermosa of Events Studio. 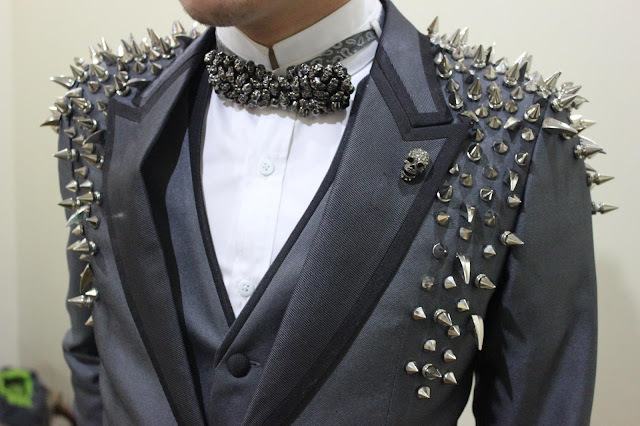 Groom's suit by famous Filipino designer Francis Libiran. We can't wait to see more from your wedding, Jo!